Savvy Smart Mirror. 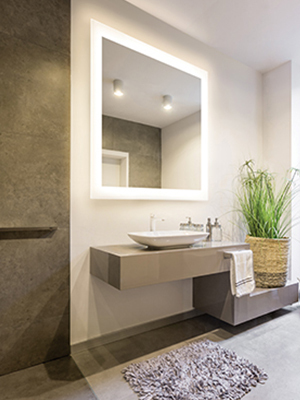 First for hotels, first for homes. It’s no surprise that Savvy™, the global leader in smart mirrors, stole the show at CES, the global stage for innovation. 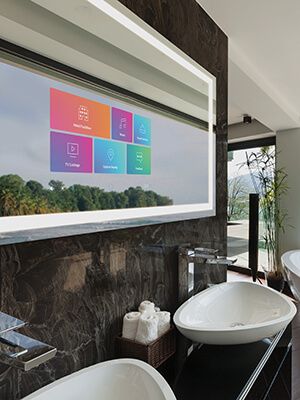 What started as the preferred smart mirror for hospitality is also now the preferred smart mirror for homes. Introducing the Poet, our newest innovation. Captivate your guests with our new vanishing message technology. It’s often been quoted “People will forget what you said and did, but they’ll never forget how you made them feel.” With Electric Mirror’s new Poet™ vanishing message technology, hotels have a unique and memorable new way to leave their guests feeling pleasantly surprised, thoroughly delighted, and eager to return. Introducing the beautiful Bevel Collection. A unique new style offering dazzling depth, drama and detail. 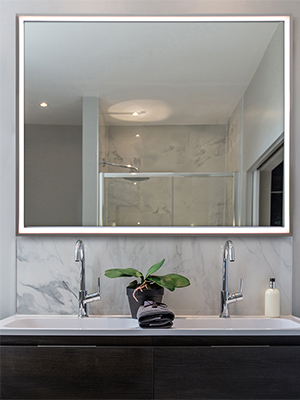 The Bevel Collection mirrors ingeniously unite two layers of mirror glass to create a lighted mirror with distinctive depth and drama. 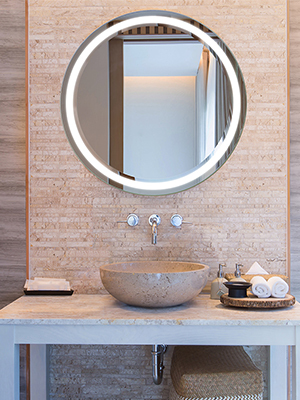 The combination of the three-dimensional reflective beveled edge juxtaposed against a band of radiant LED light creates a stunning jewel-like focal point for any room. 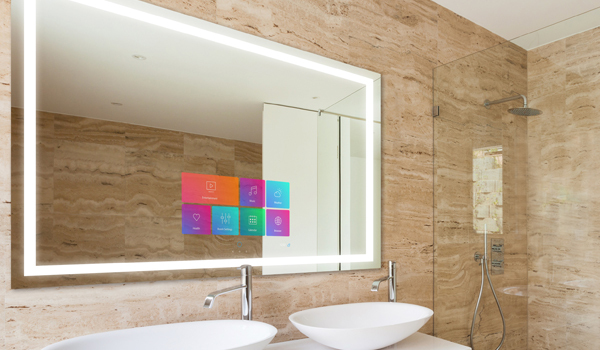 The Savvy Home Smart Mirror. 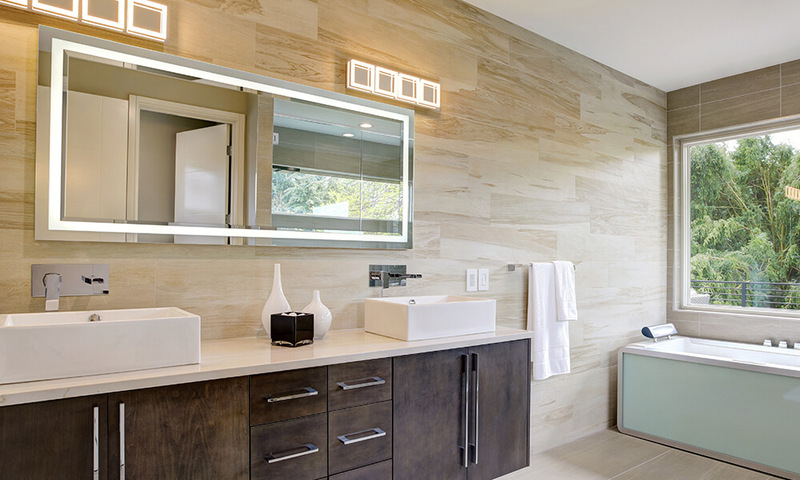 We make it easy to design the perfect Savvy™ for any room in your home – your office, your bathroom, your living area, even your entryway. 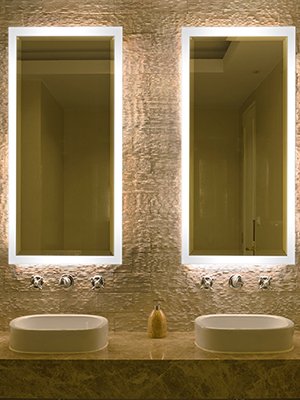 Choose a lighted or non-lit mirror, then select the size and orientation. You can download virtually any app from home automation leaders like Nest and Control 4, to social media mainstays such as Twitter and Instagram, to music and entertainment favorites like Spotify and Netflix. Only Savvy offers you this smart of an approach to smart mirrors. Hides the ordinary and reflects the extraordinary. 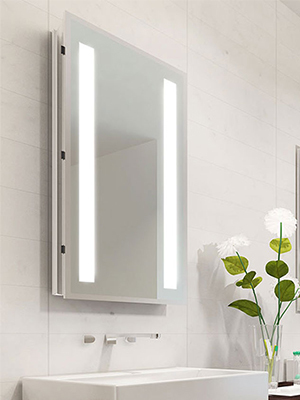 Transforms your existing flat-screen TV into a sleek, modern mirror that reflects the beauty of the room. Quick and easy to install, the universal design fits virtually any flat-screen TV.